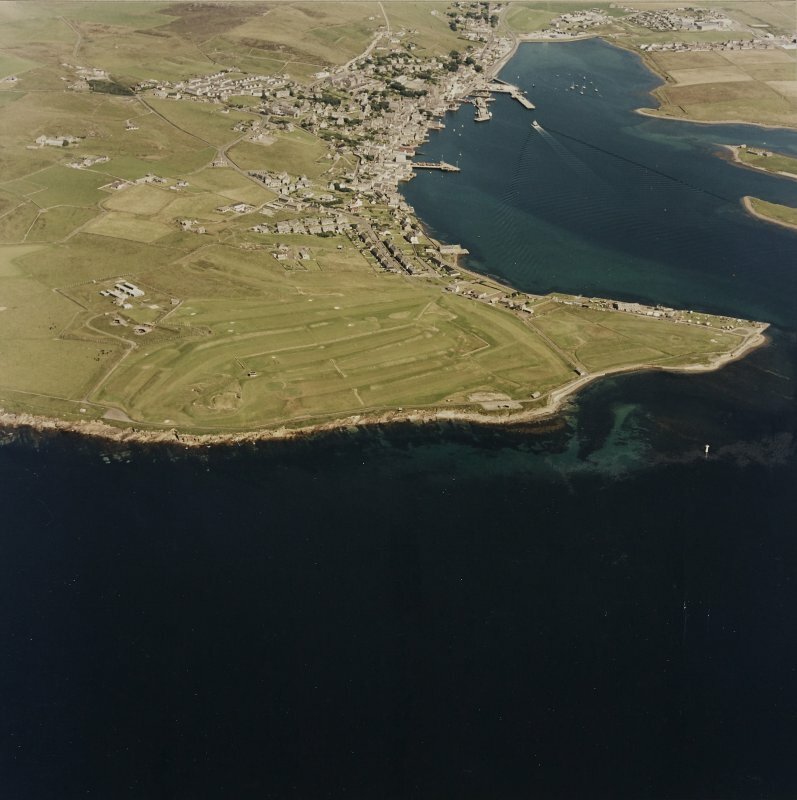 Oblique aerial view of the Second World War Ness and Links Batteries with the First World War Ness Battery situated on the golf course, taken from the SW. Also visible in the background is Stromness town and harbour. 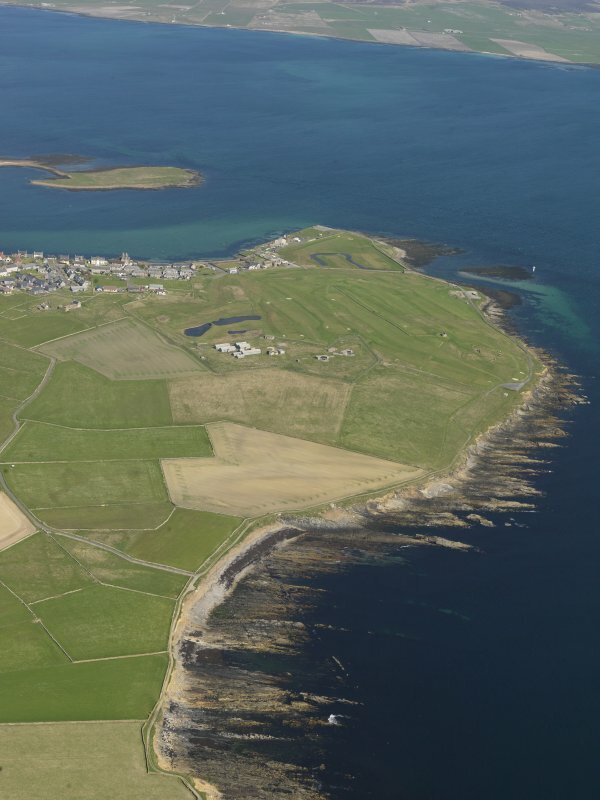 General oblique view over Breckness House to Stromness, looking SE. 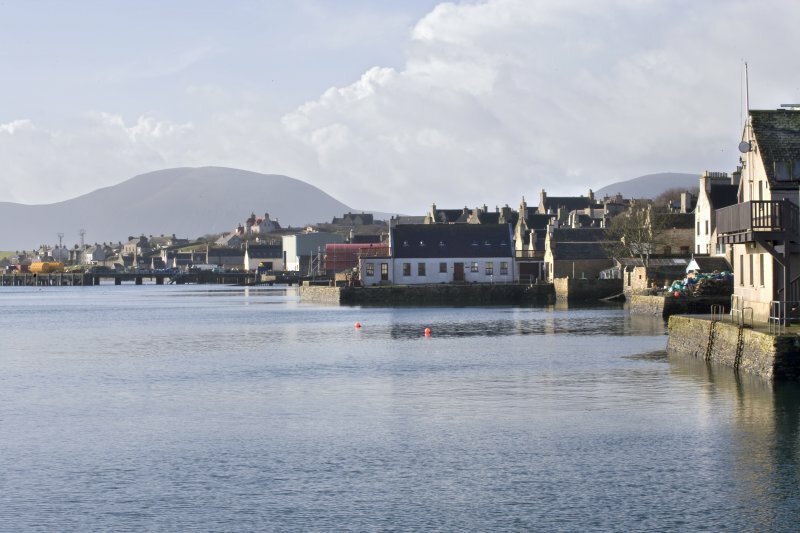 General view of Stromness, taken from the S.
General view of Stromness quayside, taken from the NNE. 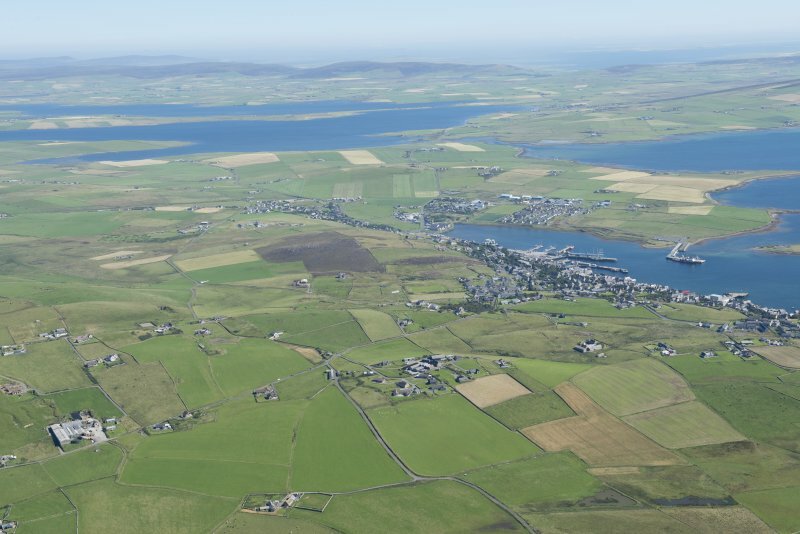 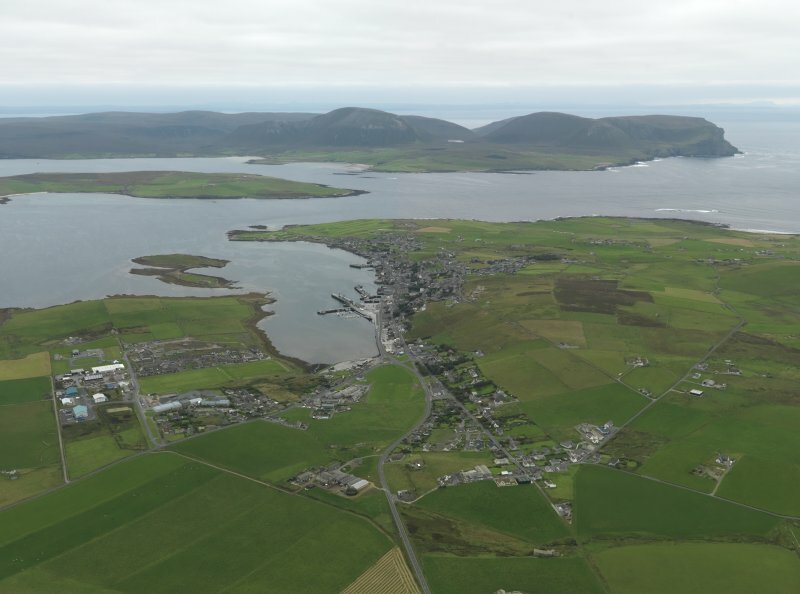 General oblique aerial view looking towards Bu Point with Stromness beyond, taken from the NE. 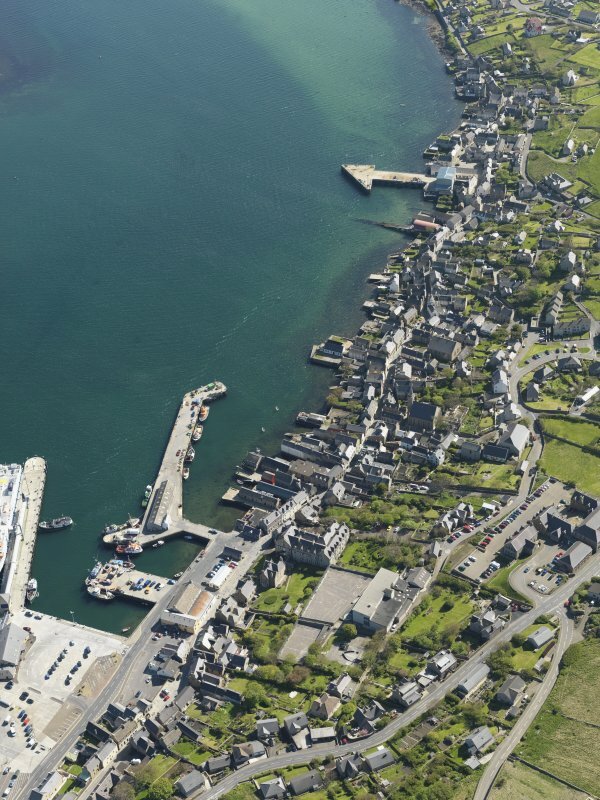 Oblique aerial view of Stromness Harbour, taken from the ESE. 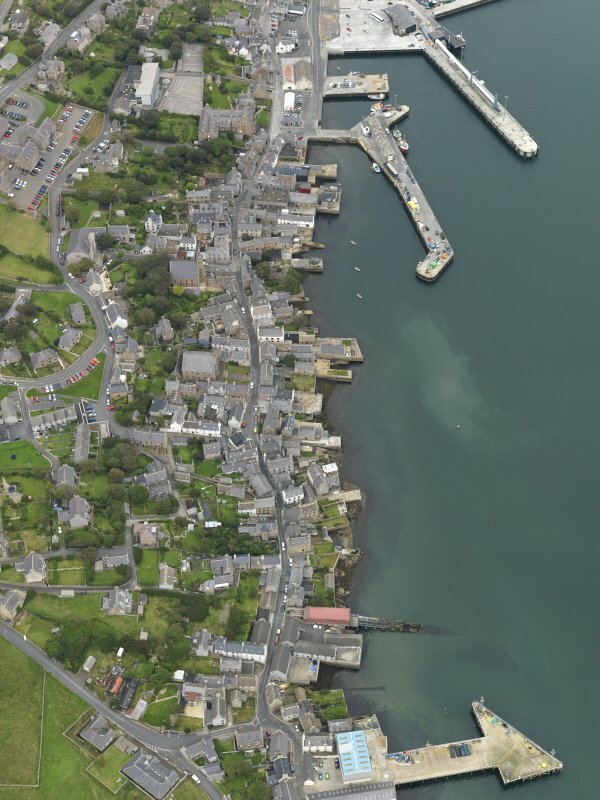 Oblique aerial view centred on the town with the ferry terminal and pier adjacent, taken from the SSW. 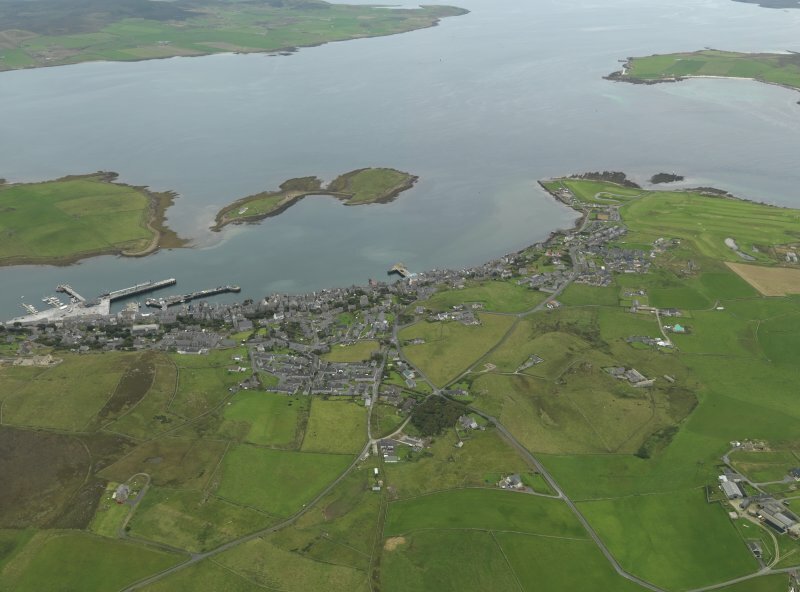 Oblique aerial view of Stromness, taken from the NE. 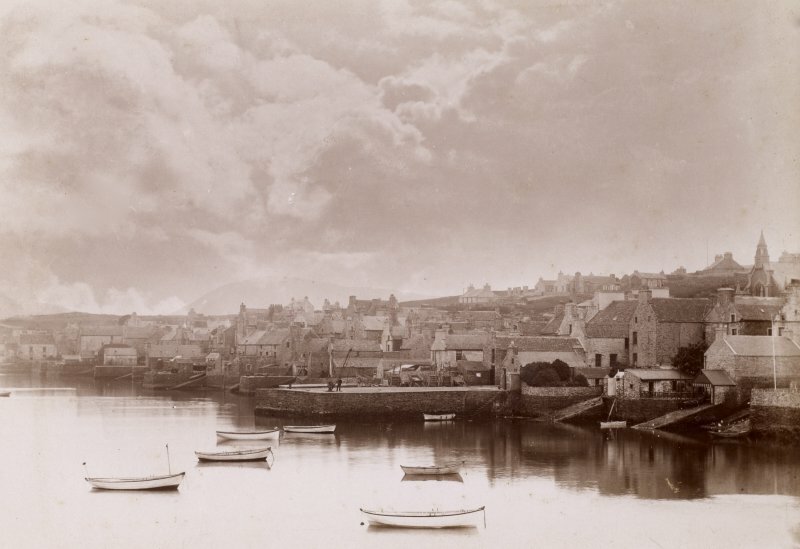 General view of Alfred Street, Stromness, taken from the S.
View of house at South end, Stromness, taken from the NW. 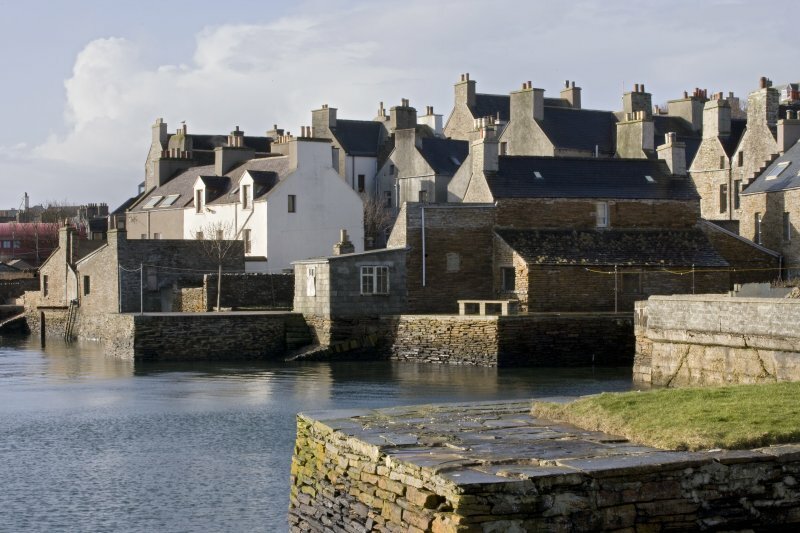 View of old quays, Victoria Street, Stromness, taken from the NE. 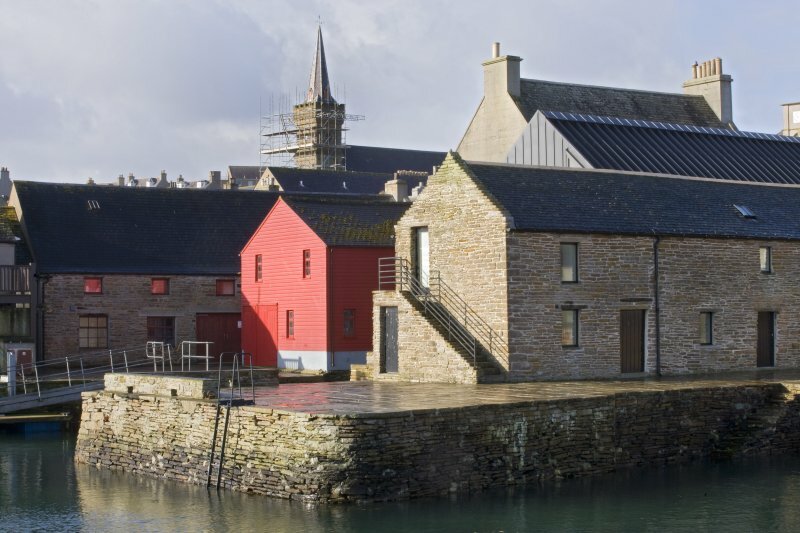 View of The Pier Arts Centre, Stromness, taken from the NE. 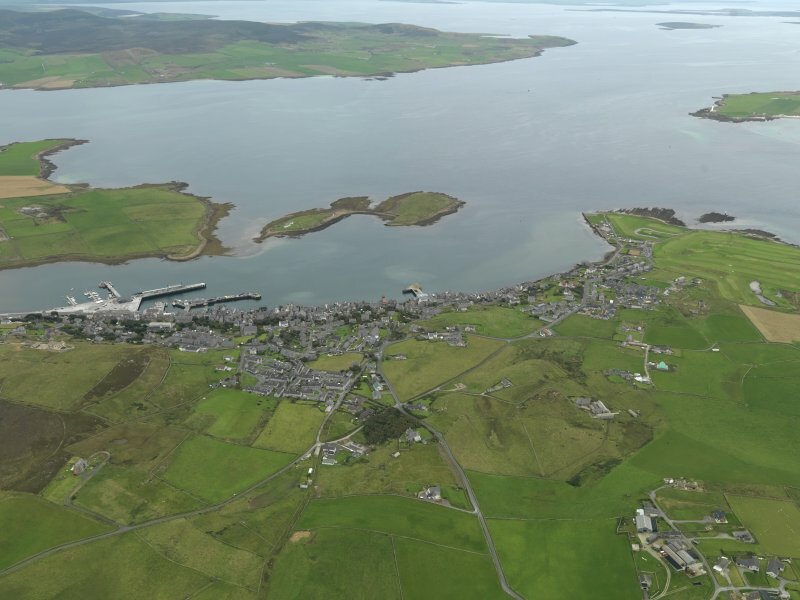 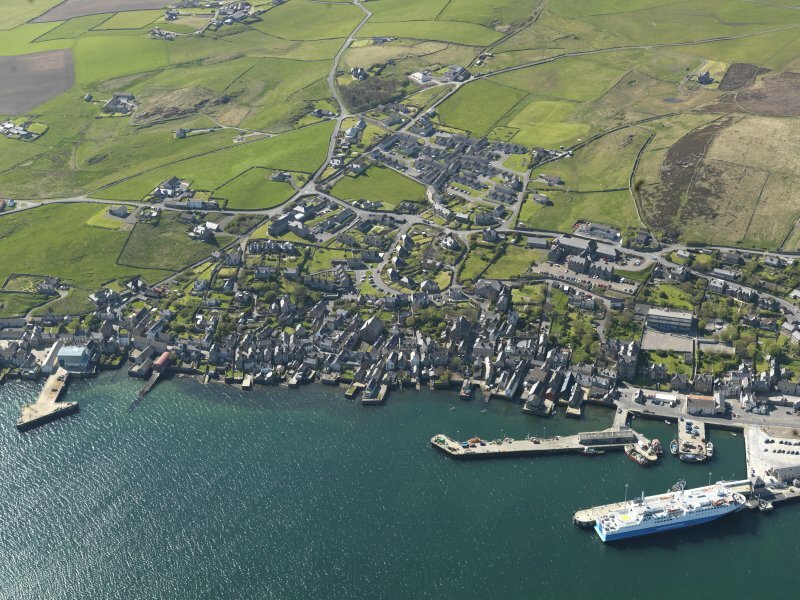 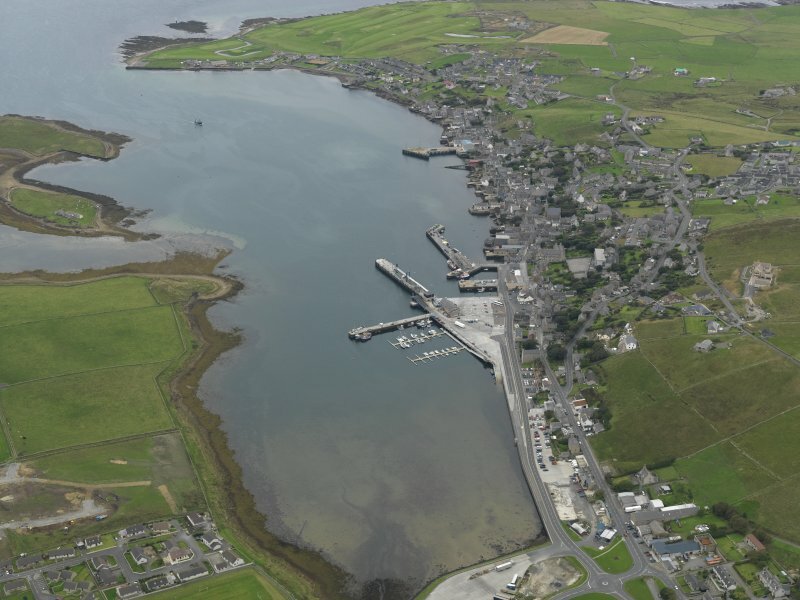 General view of Stromness, taken from the N.
Oblique aerial view centred on the town with the ferry terminal and pier adjacent, taken from the S.
Oblique aerial view centred on the town with the ferry terminal and pier adjacent, taken from the NE. 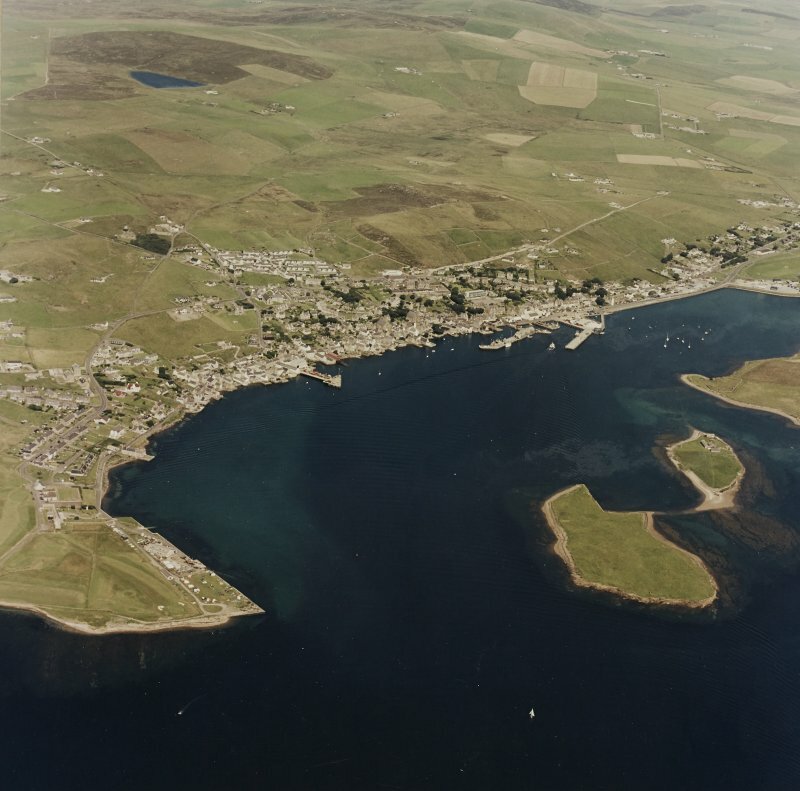 General oblique aerial view centred on the town, taken from the N.
Oblique aerial view of Stromness, taken from the SE. 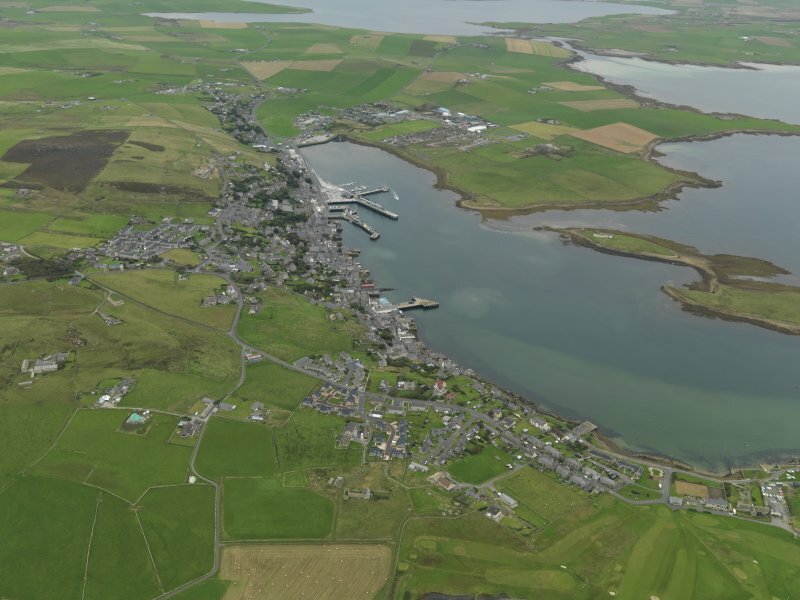 Oblique aerial view of Stromness, taken from the SSW. 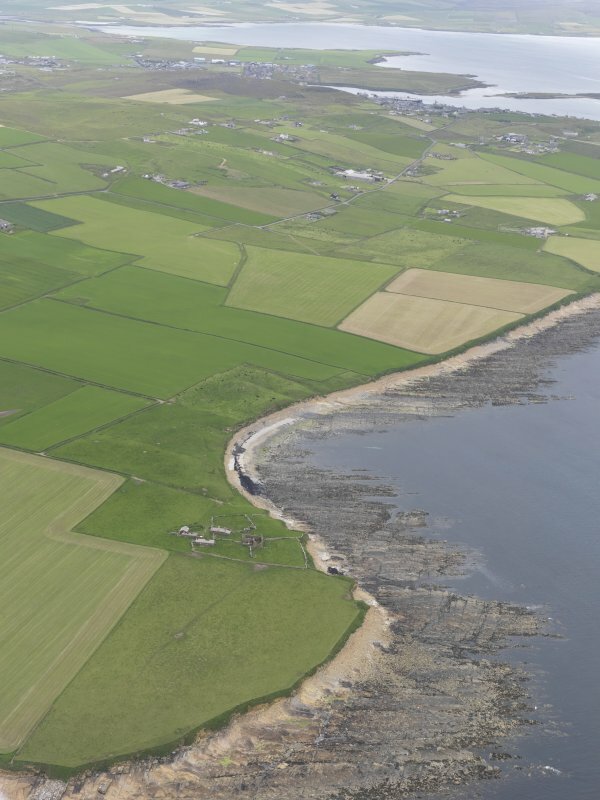 Also visible are the First and Second World War Coastal batteries. 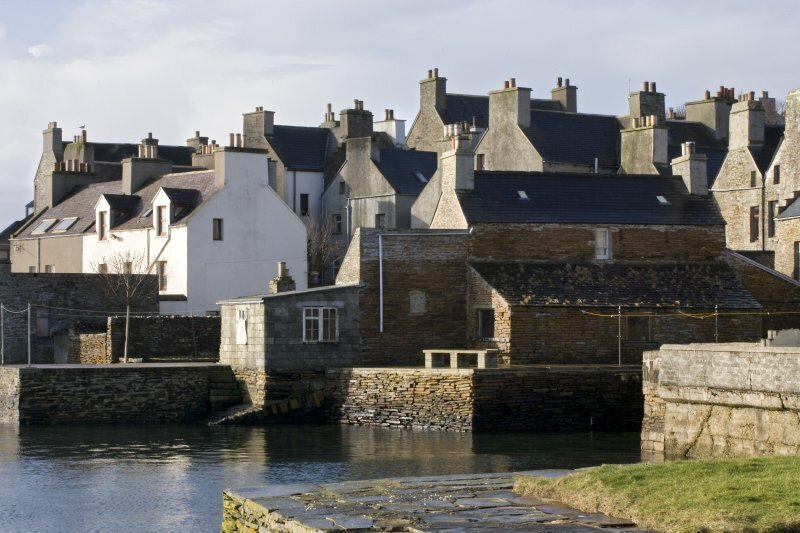 Detail of old quays, Dundas Street, Stromness. 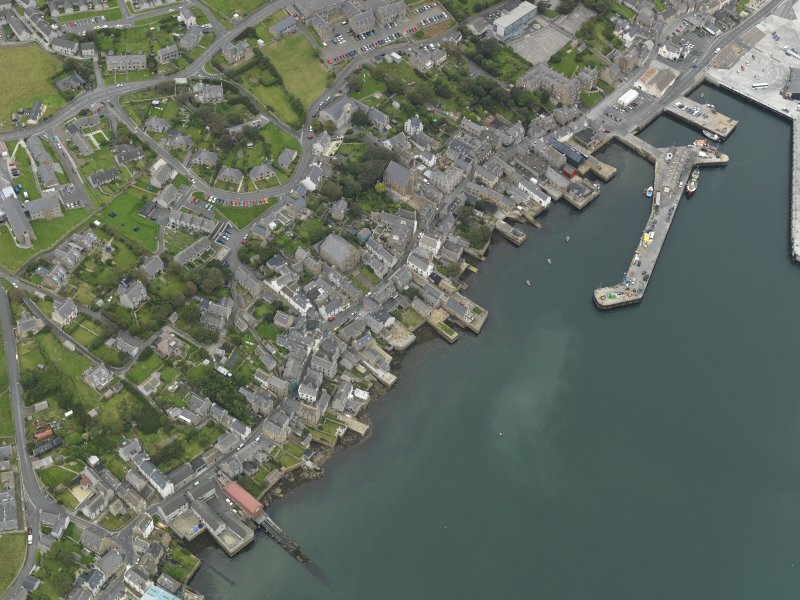 Oblique aerial view centred on Stromness Harbour, taken from the SE. 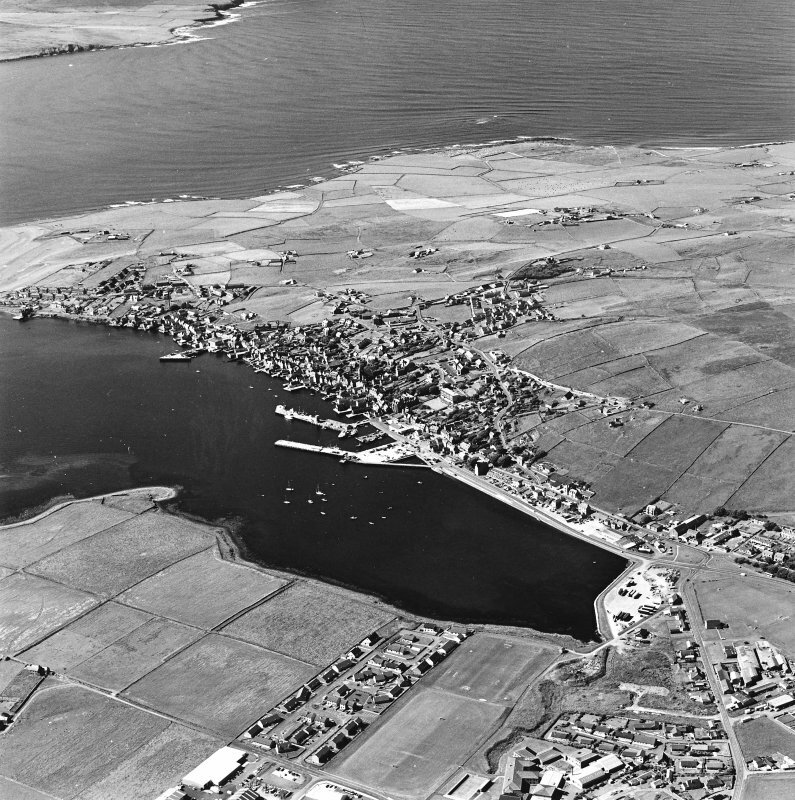 General oblique aerial view centred on the town, taken from the NNE. 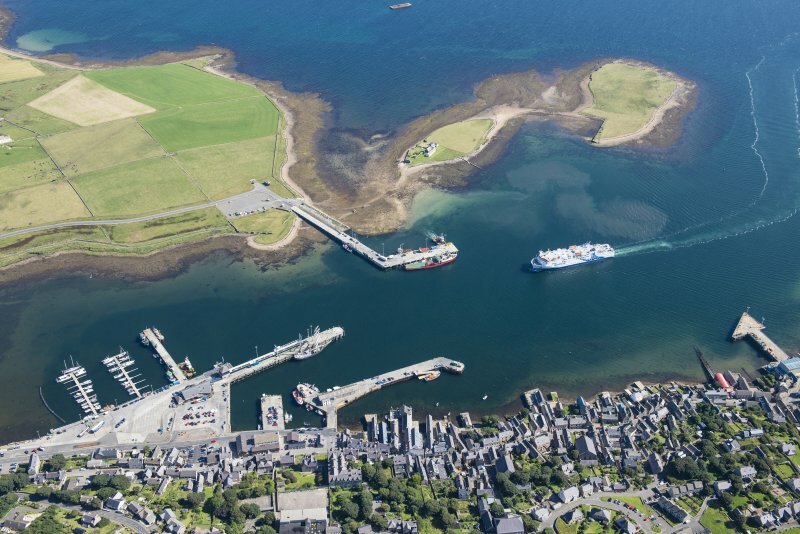 Oblique aerial view centred on the town with the ferry terminal and pier adjacent, taken from the WNW. 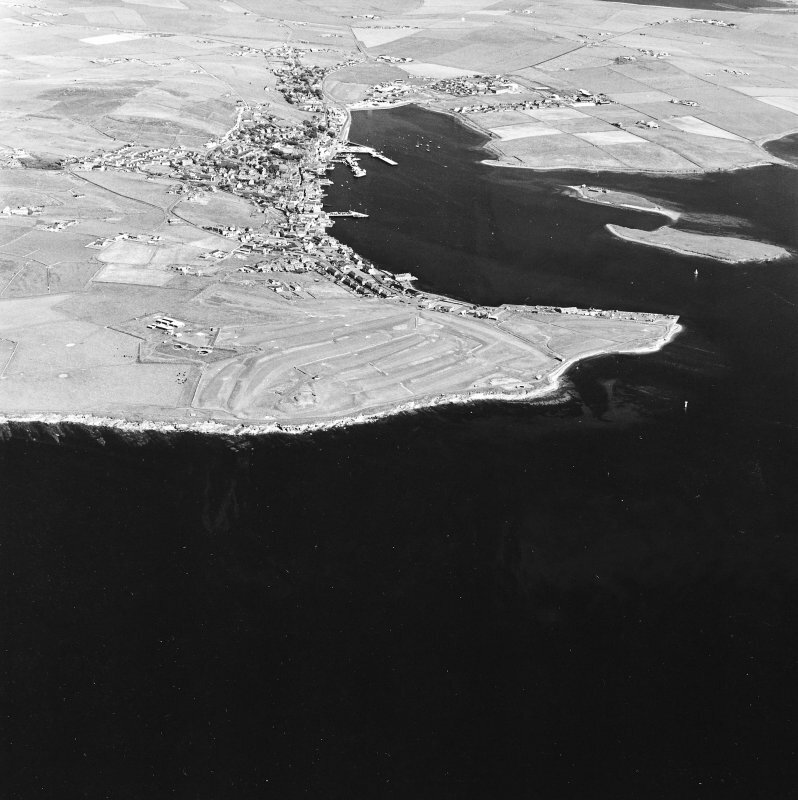 General oblique aerial view centred on the town, taken from the NW. 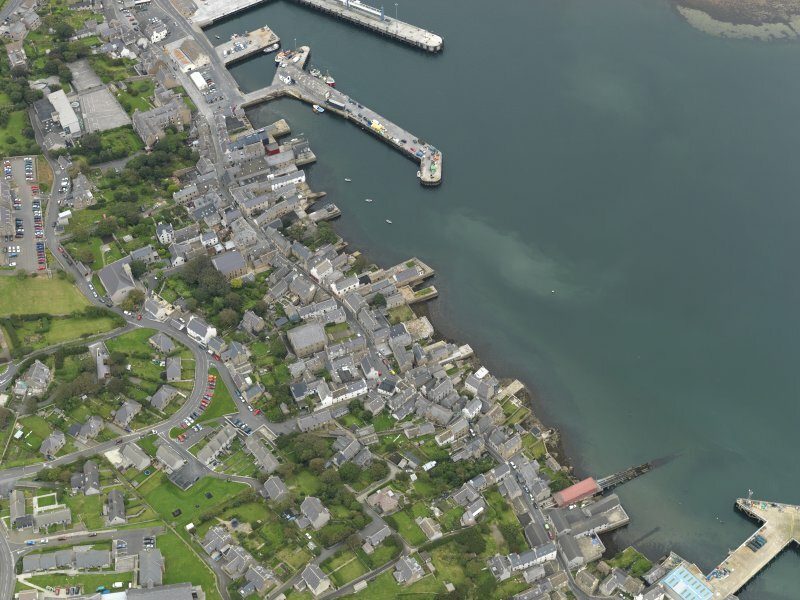 General view of Victoria Street, Stromness, taken from the N.
Oblique aerial view centred on the town with the ferry terminal adjacent, taken from the E.
General oblique aerial view centred on the town, taken from the SSW. 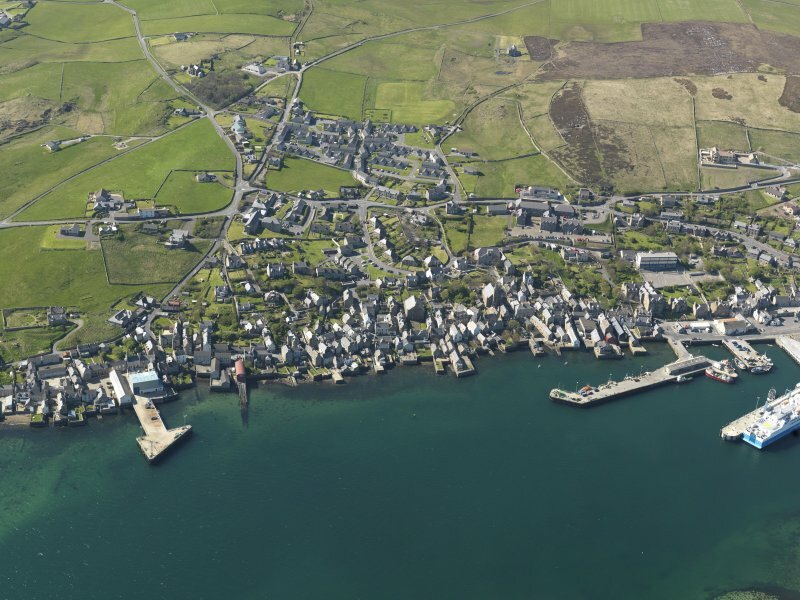 General oblique aerial view centred on the town, taken from the SW.
General view of Dundas Street, Stromness, taken from the S.
General oblique aerial view of Stromness, taken from the SE. 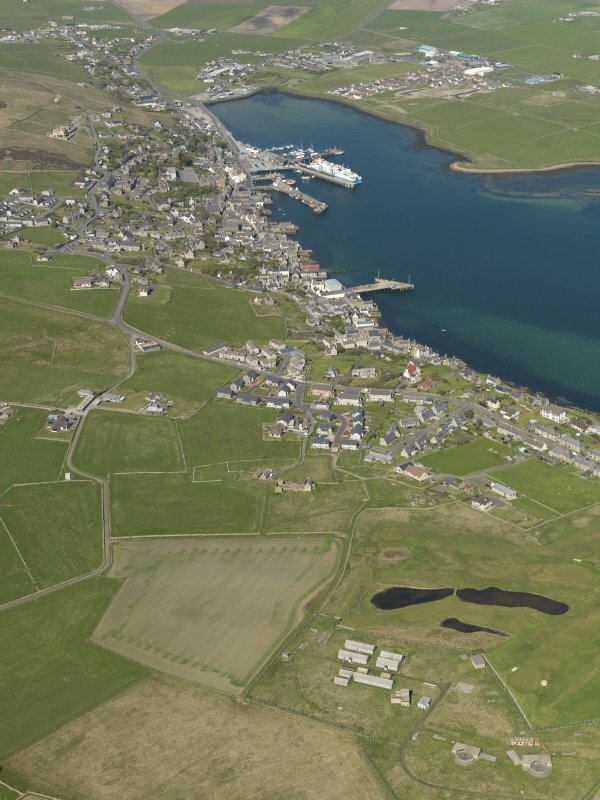 General oblique aerial view of Stromness, taken from the S.
General oblique aerial view centred on Ness Battery with Stromness beyond, taken from the W.
Oblique aerial view centred on the town with the ferry terminal adjacent, taken from the SSW. 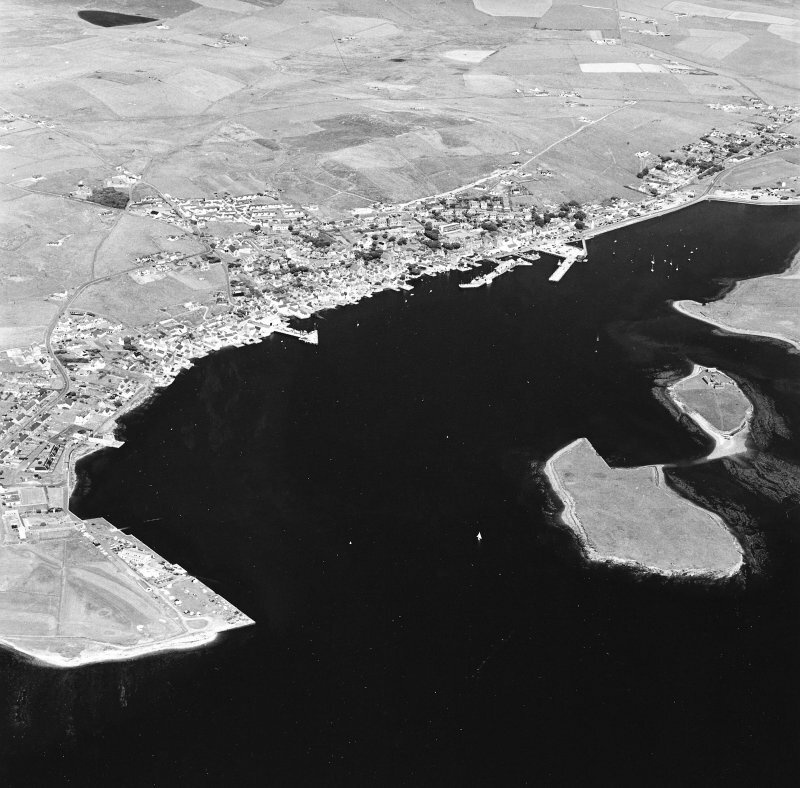 Scanned image of photograph showing a general view of Stromness piers and harbour from mid-way along the town shore, taken from the N and looking S to Hoy. 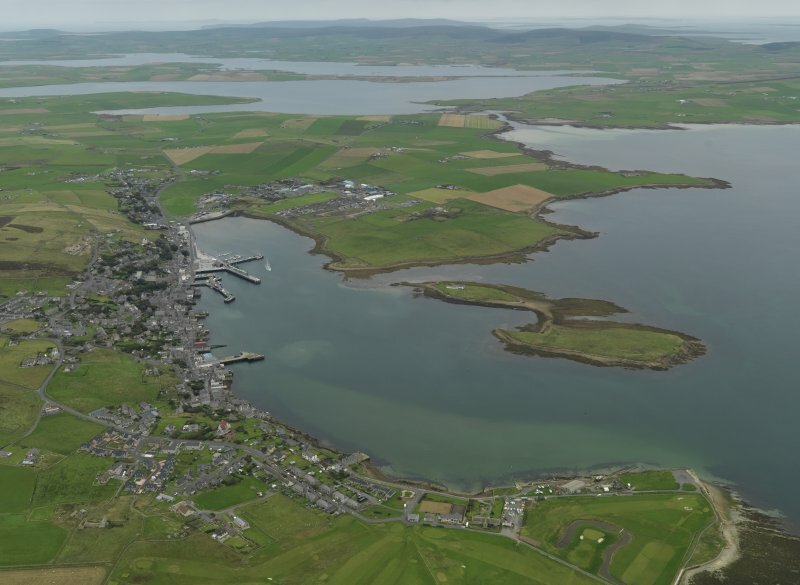 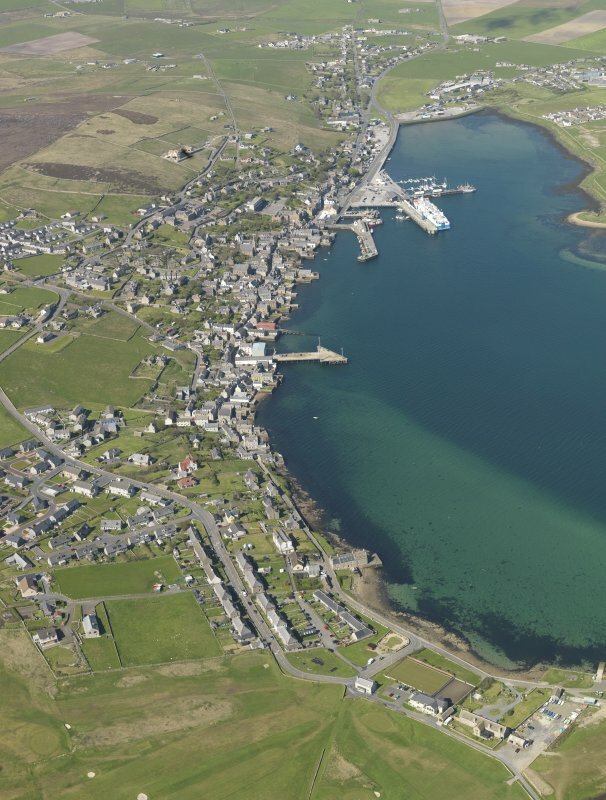 Aerial view of Stromness town and harbour, taken from the SSE. 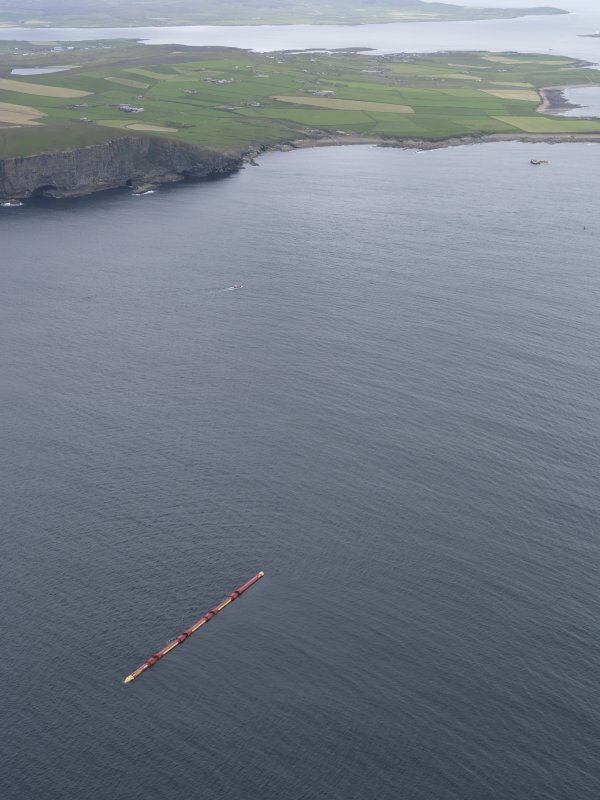 Oblique aerial view of the Pelamis wave energy converter at the European Marine Energy Centre (EMEC), with Stromness beyond, looking SE. 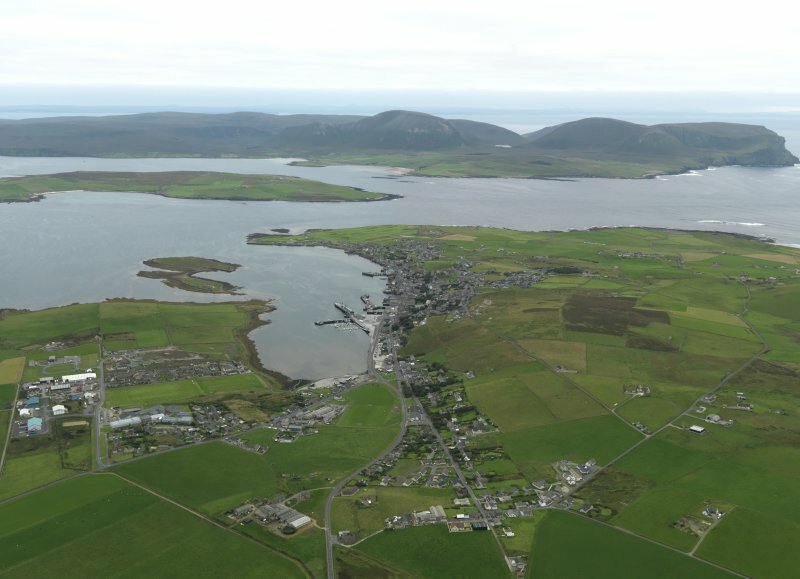 General oblique aerial view of Stromness, taken from the E.
General oblique aerial view of Stromness with the Ness Battery in the foreground, taken from the WSW. 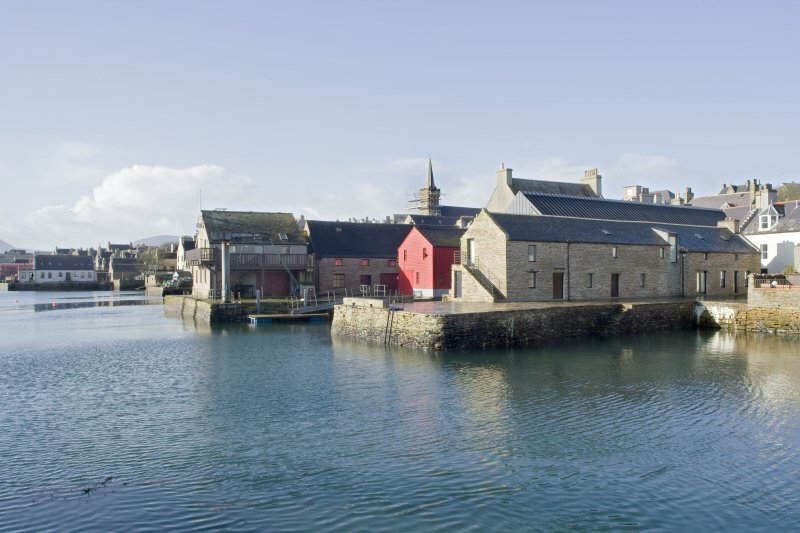 View of Sir John Login's House at South end, Stromness, taken from the NW. 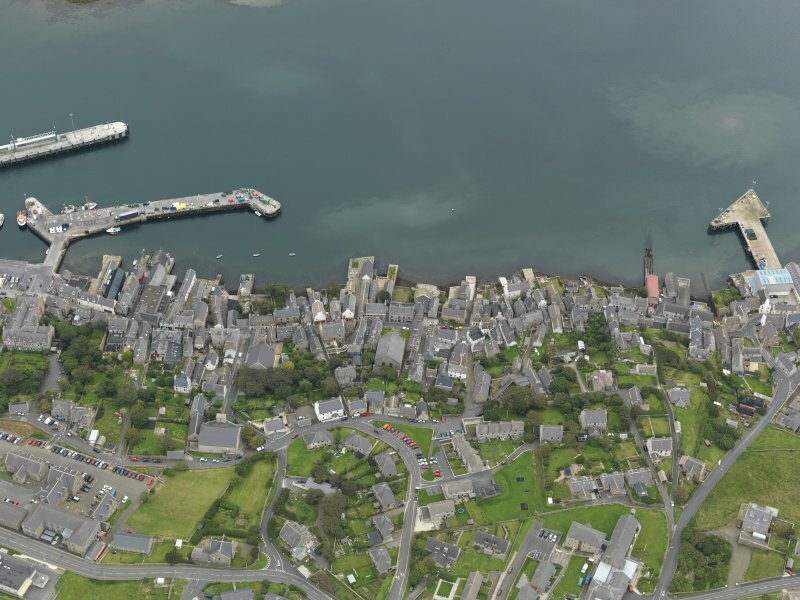 View of old quays, Victoria Street, Stromness, taken from the SSE. 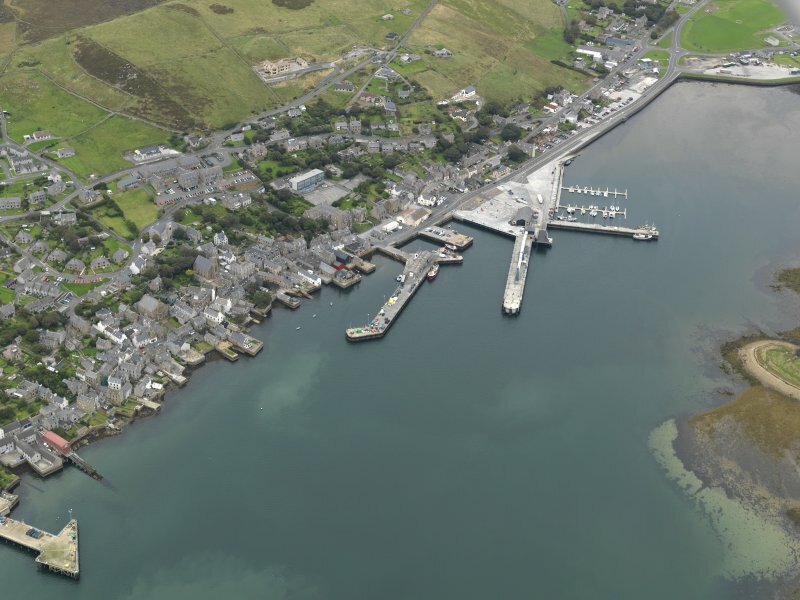 View of hand crane at old quays, Victoria Street, Stromness, taken from the SSE. 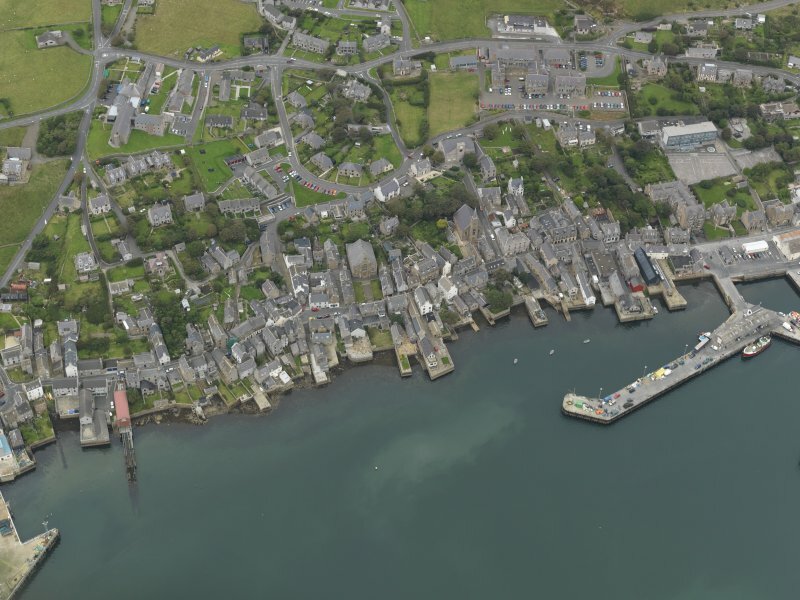 Oblique aerial view centred on the town with the ferry terminal and pier adjacent, taken from the W.
Oblique aerial view centred on the town with the ferry terminal and pier adjacent, taken from the ESE. 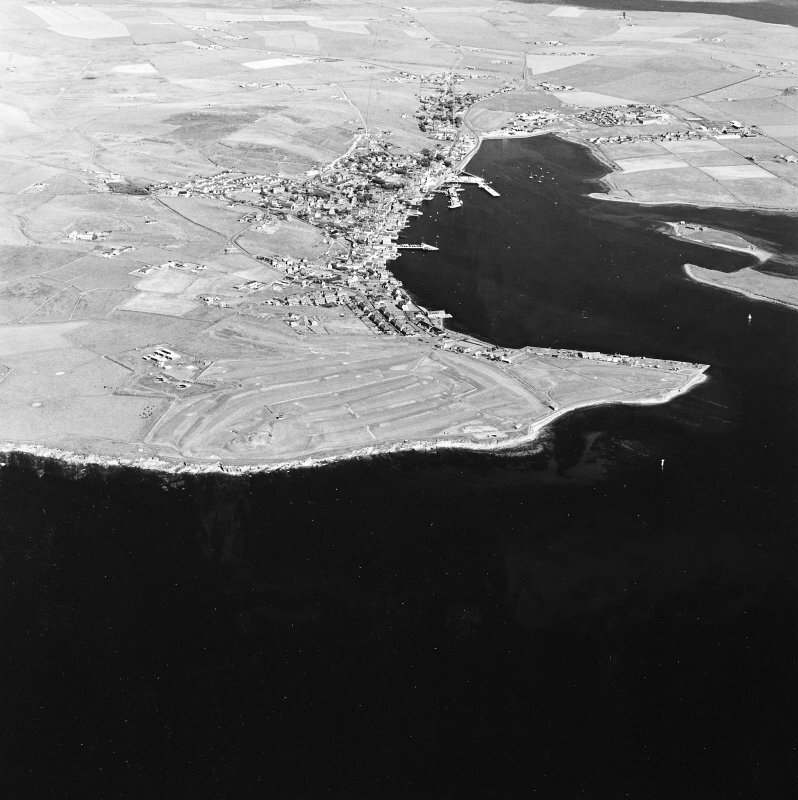 General oblique aerial view centred on the town, taken from the ESE. 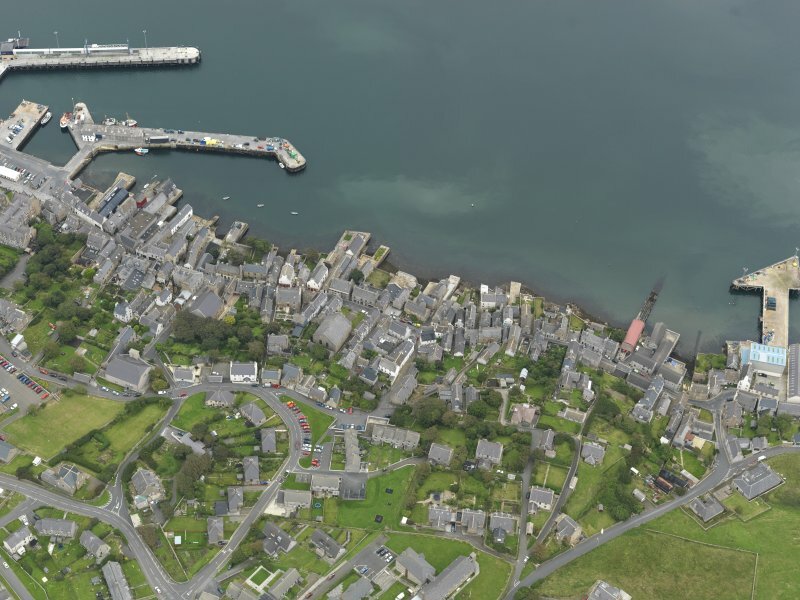 General view of Dundas Street, Stromness, taken from the N.
Oblique aerial view centred on Stromness Harbour, taken from the NNW. 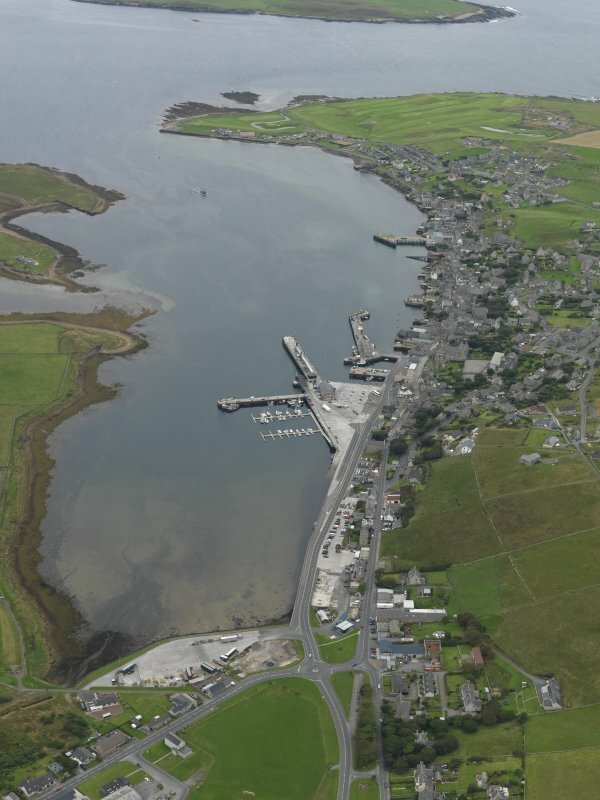 Oblique aerial view centred on the town with a pier adjacent, taken from the ESE. 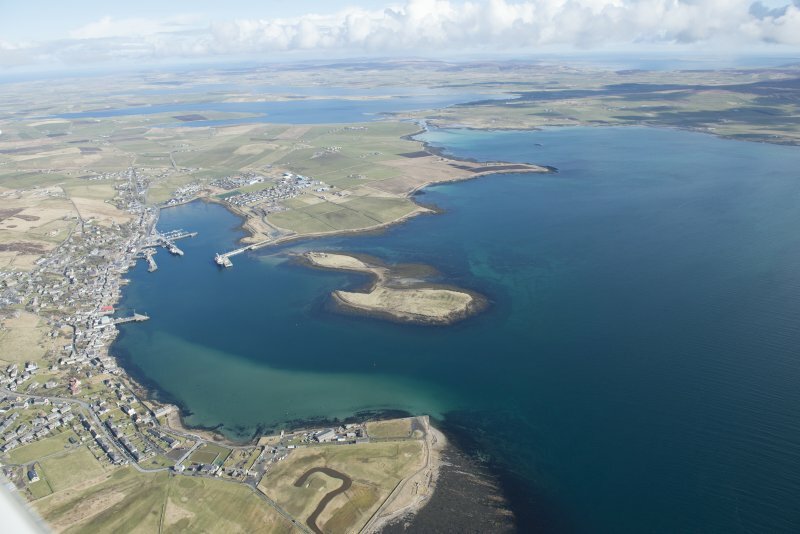 Stromness is located on the sheltered bay of Hamnovoe. 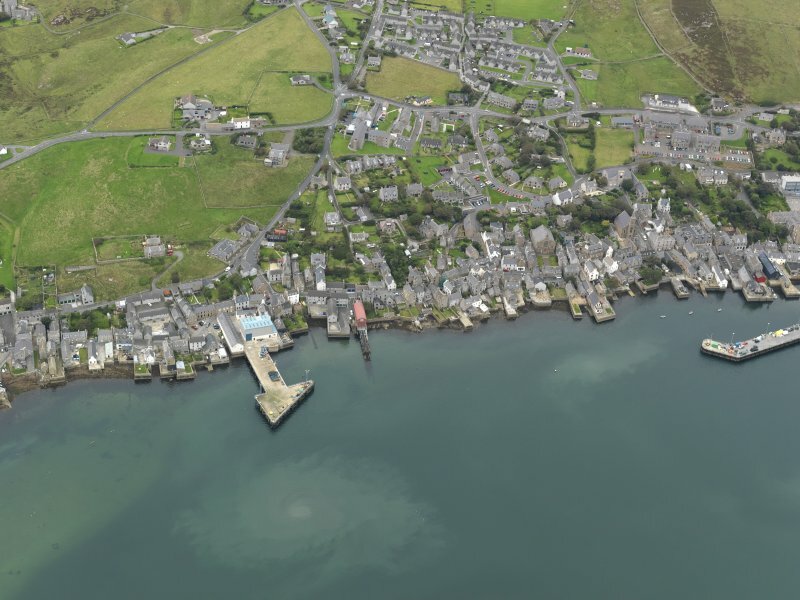 In 1700 it was recorded as containing only five houses with slate roofs, expansion beginning later that century when the harbour became a base for the Hudson's Bay Company and a stopping point for whaling ships heading north. 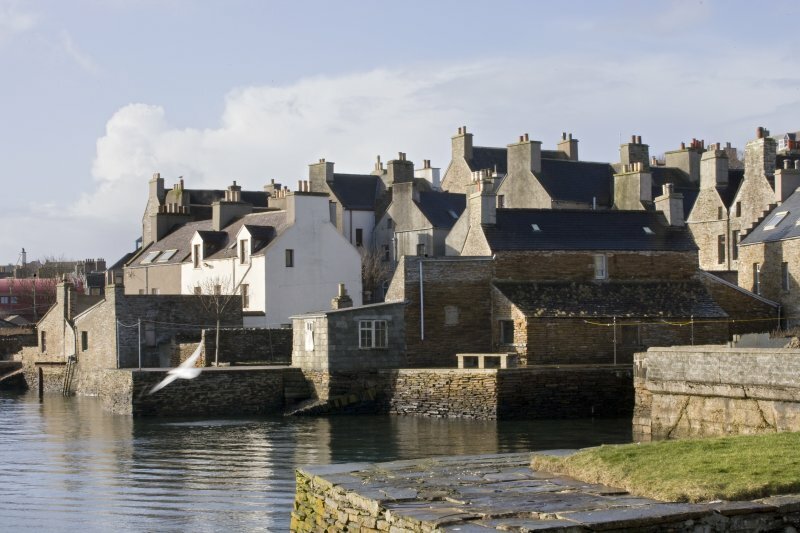 The town's waterfront is dominated by storehouses and houses which were built, gable-end facing the harbour, on their own piers. 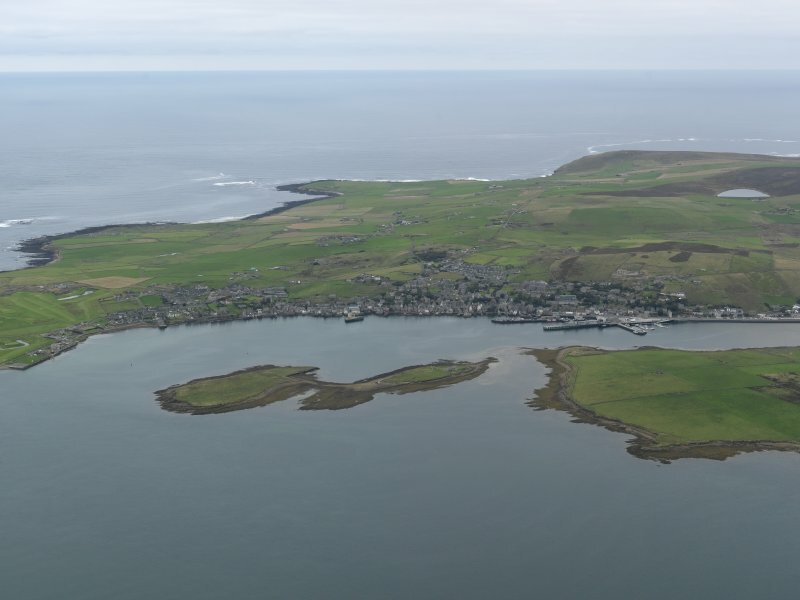 Erected burgh of barony in 1817. 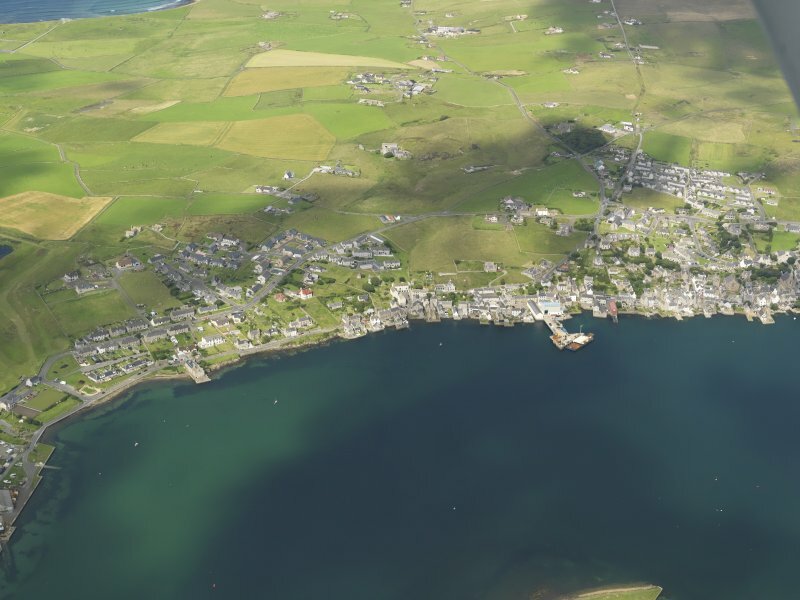 Despite the excellent shelter of Hamnavoe, Stromness was slow to develop into a major harbour, in fact it became a burgh only as recently as 1817. 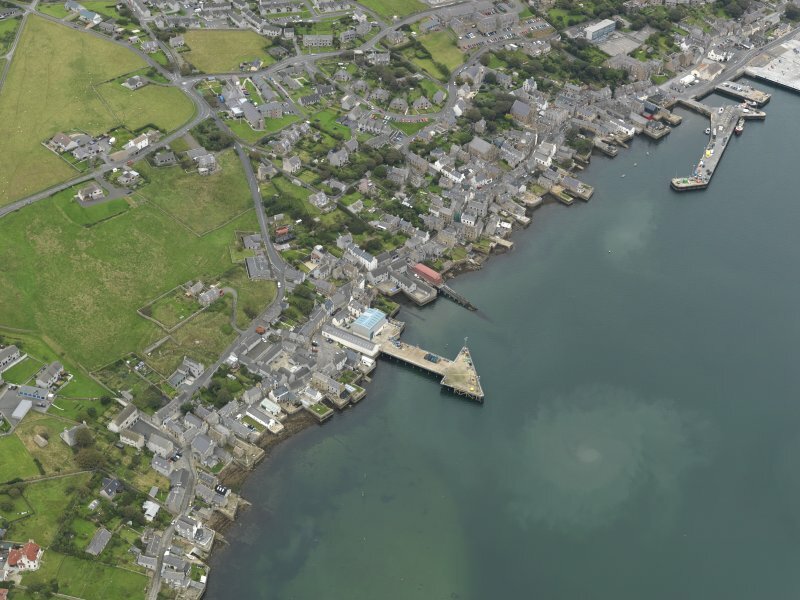 There was certainly an inn and the beginnings of a village here in the early 16th century, although nothing now survives of these buildings, and the sheltered anchorage is likely to have been essential to life in the 16th-century mansion at Breckness some 3 km to the west. 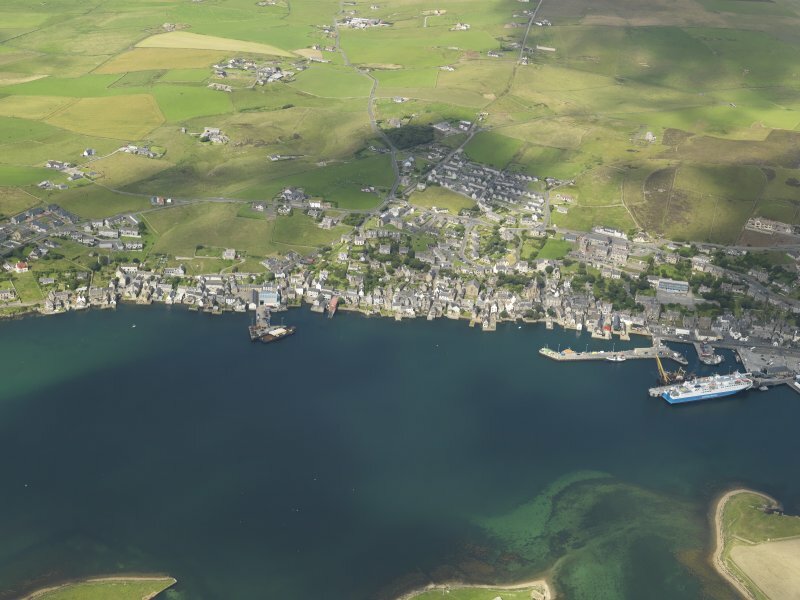 By the late 17th century there are records of local shipowners in Stromness, but in 1700 there were still only five houses with slate roofs and some less substantial dwellings. 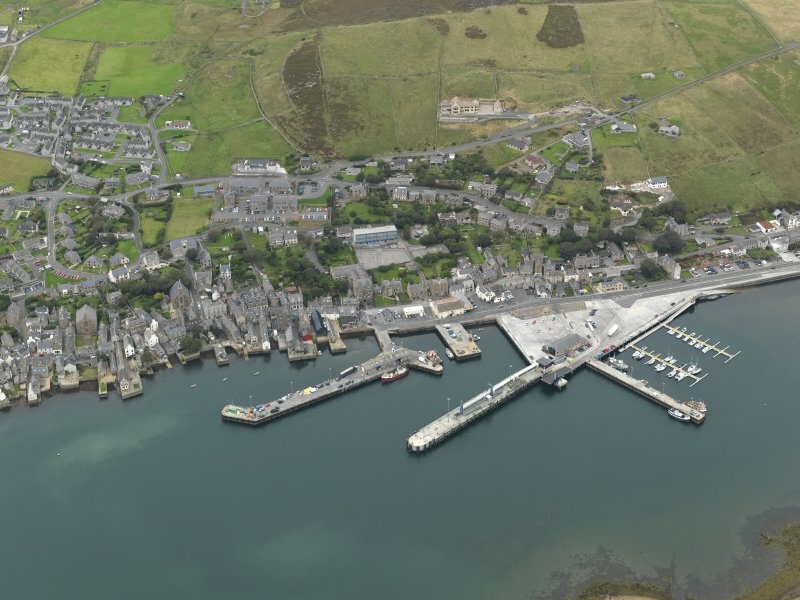 Vital to the harbour's development was the decision by the Hudson's Bay Company to use it, perhaps from the early years of the 18th century, as a base for its ships to gather provisions and young seamen in readiness for the long voyage across the north Atlantic. 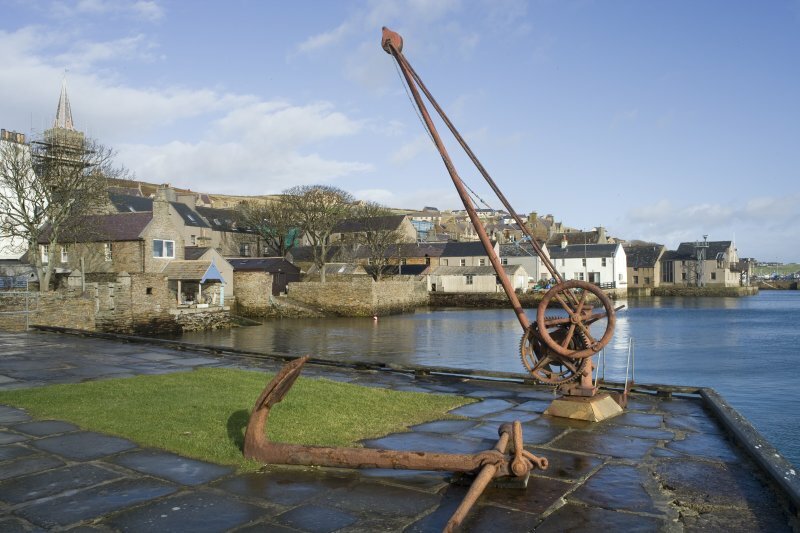 Later that century Stromness also became host to whaling ships en route to the Arctic. 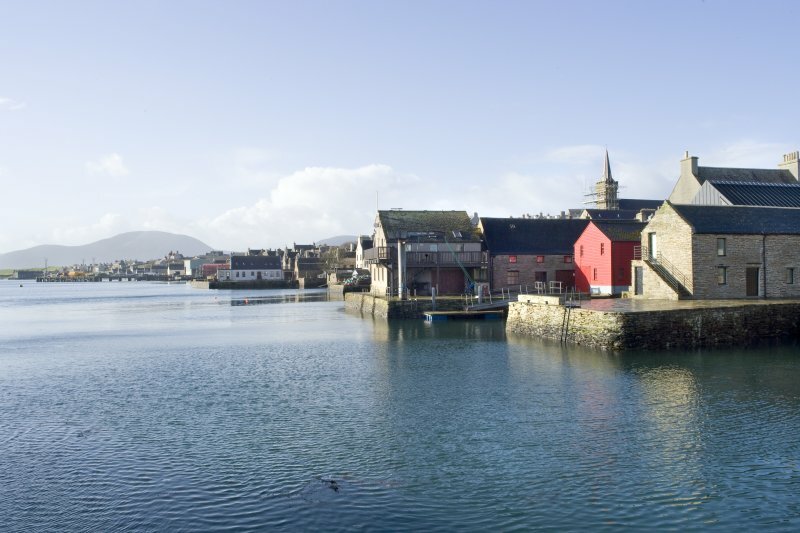 Most of the older buildings along the waterfront today reflect development in the 18th century, when houses and storehouses were built gable-end to the sea, with their own storehouses and piers furnished with post-cranes for loading and unloading the boats. 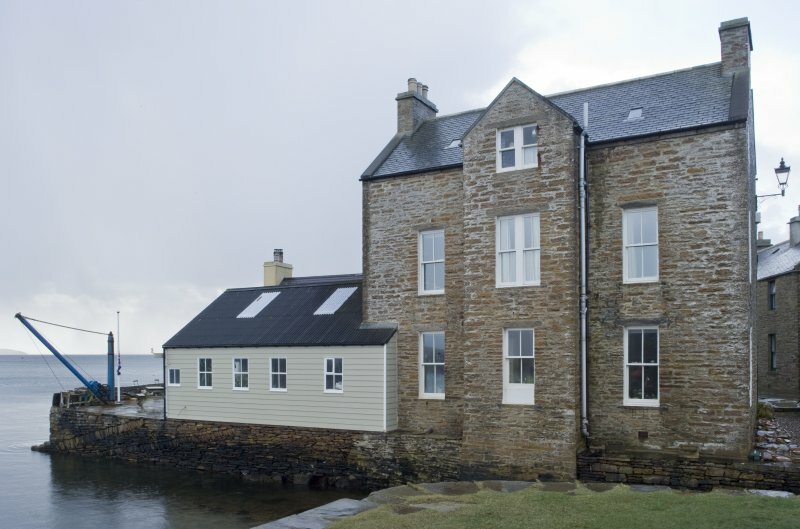 These buildings may be seen along Victoria Street, Graham Place and Dundas Street, a particularly fine example restored as the Pier Arts Centre. 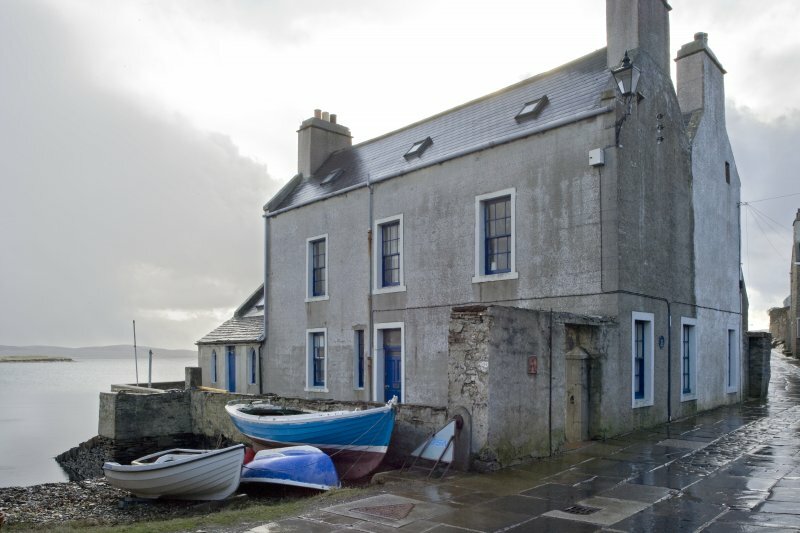 Behind John Street at the north end of the town is Millar's House with an unusual moulded stone porch at the front door, its pediment bearing the arms of Millar and Nisbet, the date 1716 and an inscription reading 'Gods providence is my inheritence'. 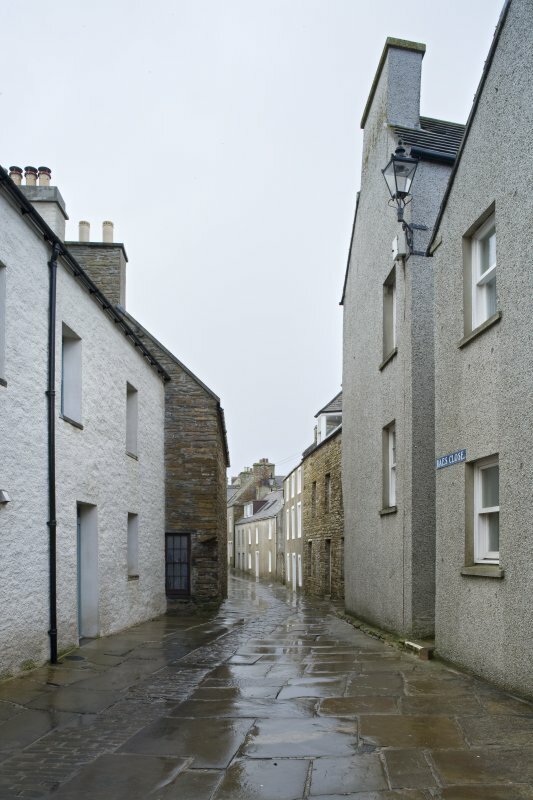 The paved thoroughfare with its archaic air is in fact no earlier than the mid 19th century, and its crooked alignment and variable width reflect its origin as a pathway along the rear of the waterfront buildings, for whose occupants the sea was a vastly more important means of transport. 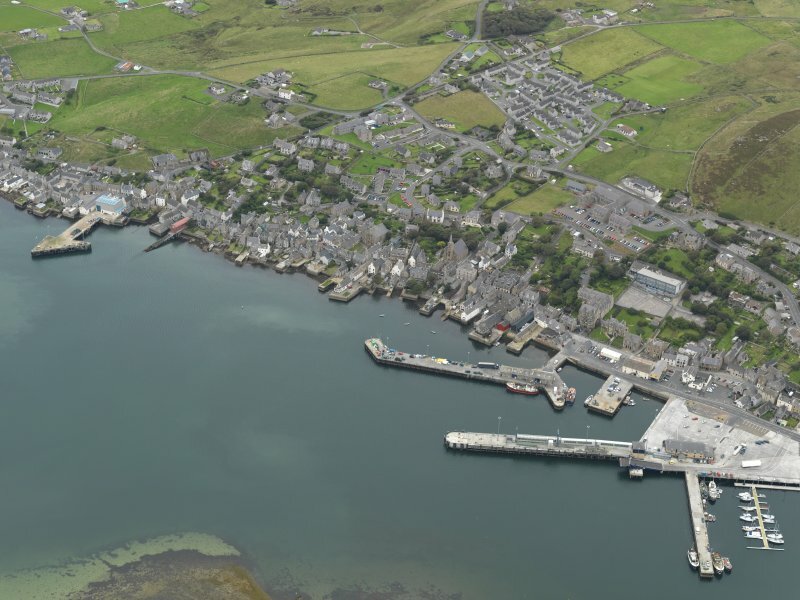 Sir Walter Scott visited Stromness in 1814 and was dismissive: 'Stromness is a little, dirty, straggling town which annot be traversed by a cart, or even by ba horse, for there are stairs up and down, even in the principal streets'. 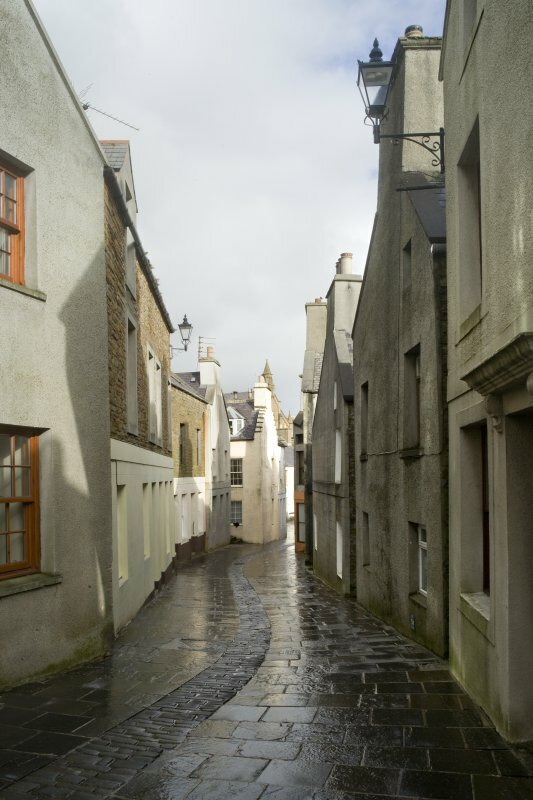 These of course are part of the charm of Stromness today, the narrow alleys and steep steps that lead uphill from the waterfront on to the ridge above the town, the Brinkie's Brae of the Stromness poet and writer, George Mackay Brown. 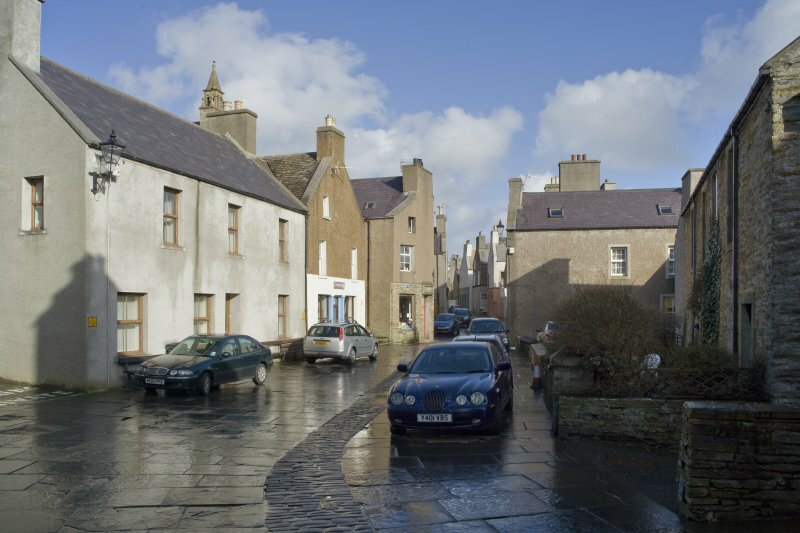 Stromness lacks the stylish town houses built in Kirkwall by island lairds, and the only 19th-century building of architectural note is no. 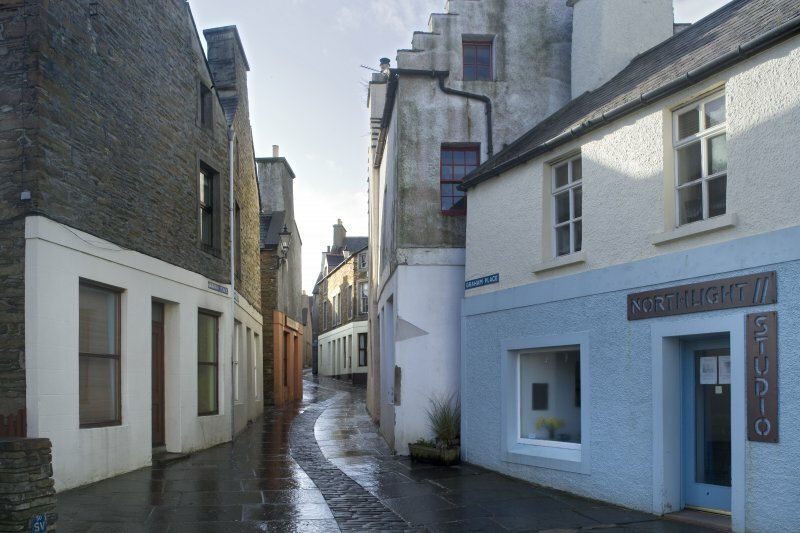 97 Victoria Street, built in Italianate style by William Henderson for the Union Bank in 1871 (now the Bank of Scotland). 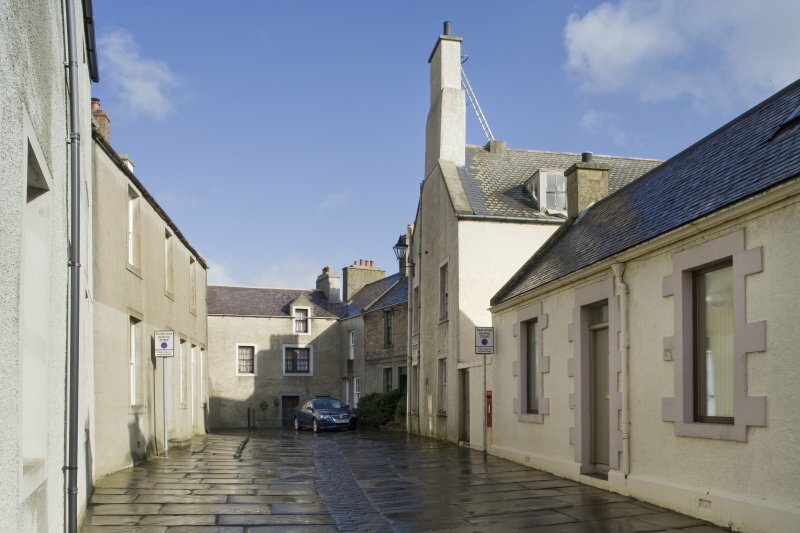 Stromness Museum at the junction of Alfred Street and South End was built in 1854-8 with the intention that the ground floor should act as a town hall, while the first floor displayed the collections of the flourishing Orkney Natural History Society. 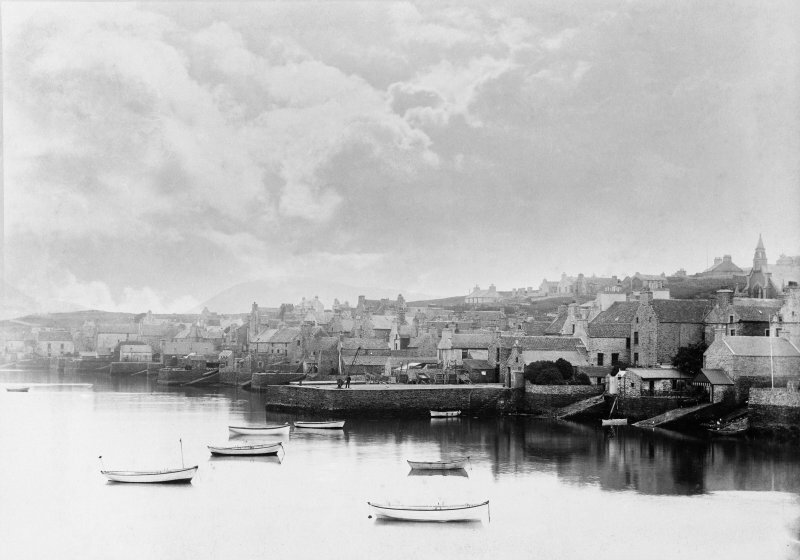 The great pile of the Stromness Hotel at the start of Victoria Street was built by Samuel Baikie in 1902. 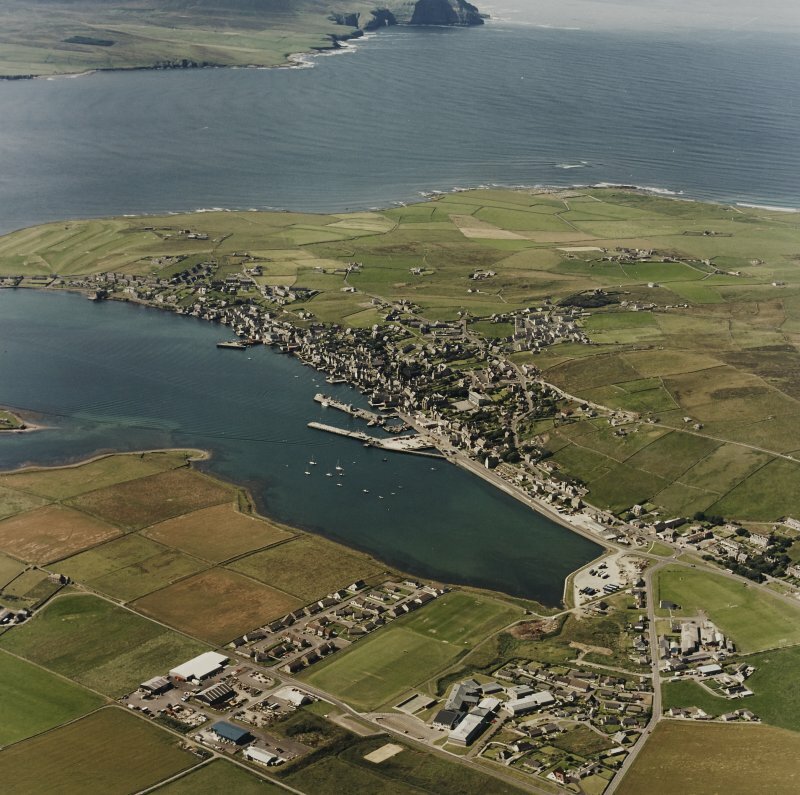 The growth of Stromness in the 18th century was closely connected with the arctic whaling industry and in particular with the Hudson's Bay Company, whose ships not only recruited Orcadian crew but also bought their last fresh provisions before the long haul across the Atlantic. 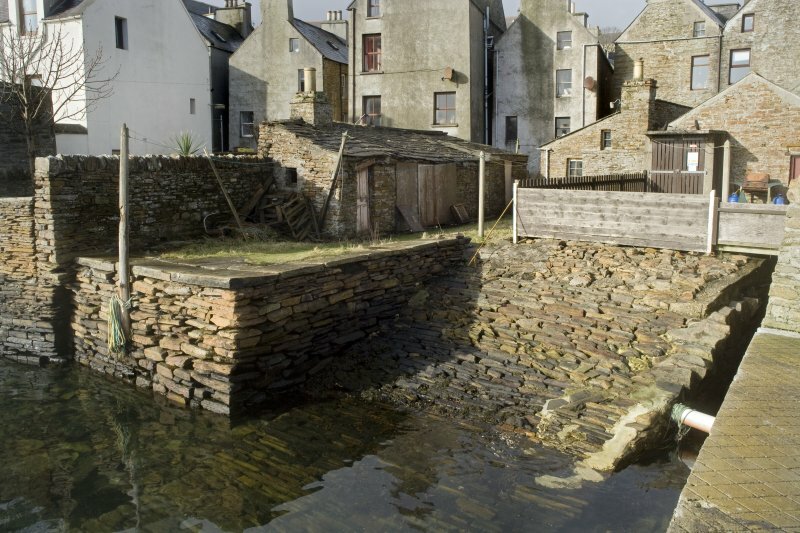 Login's Well (South End) filled the water-barrels of many famous ships, not just of the Hudson's Bay Company but also those of Captain Cook and Sir John Franklin, and the cannon on the seaward side of Ness Road, reputedly taken from an American privateer in 1813, was fired to signal the arrival of Hudson's Bay Company ships. 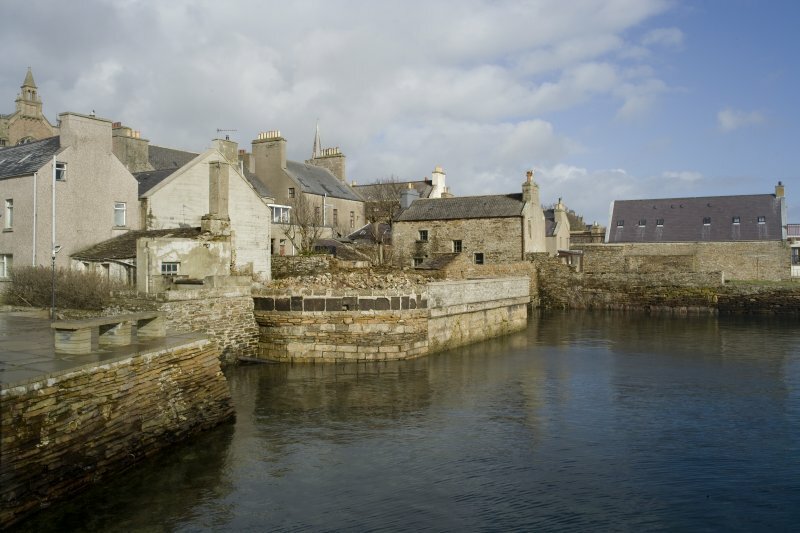 Beyond the Well, at the south end of Ness Road, is a very attractive long building end on to the sea with its own pier; known as Double Houses, this was built in the early 19th century. 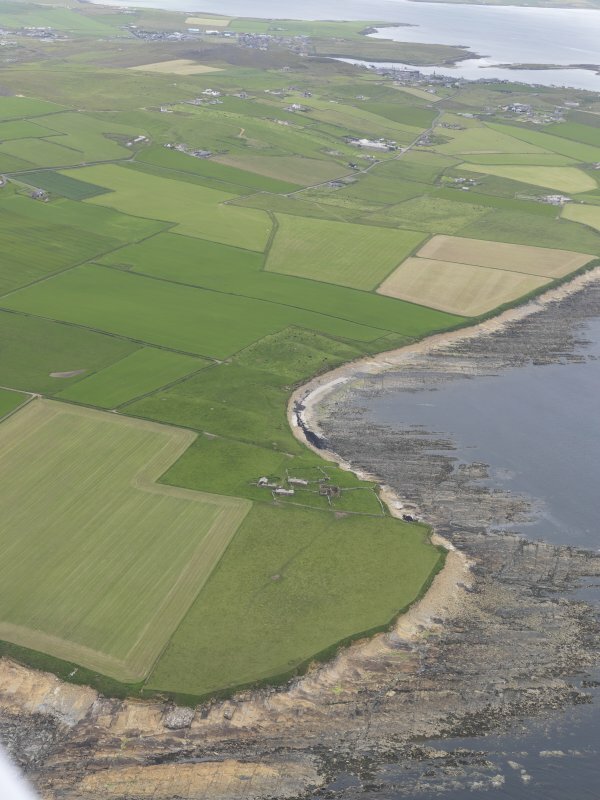 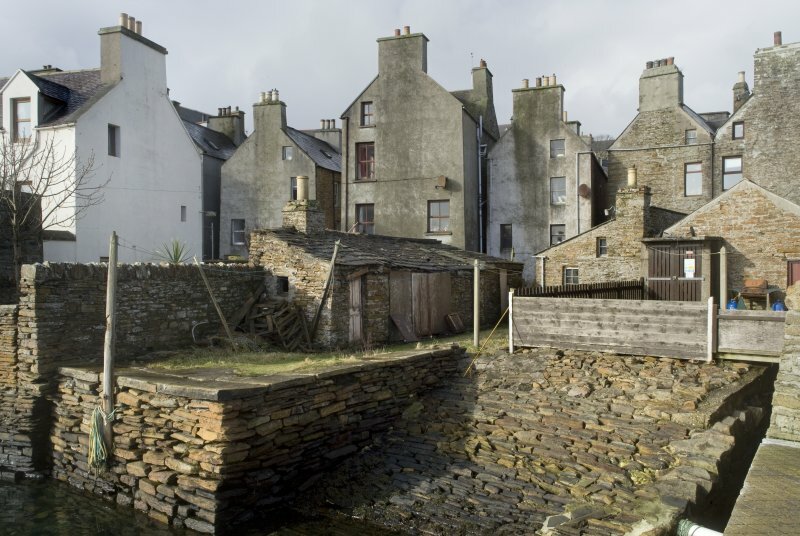 Nearby Stenigar was a mid 19th-century boat yard before its conversion to a remarkable house for the Orkney artist, Stanley Cursiter, in 1948. 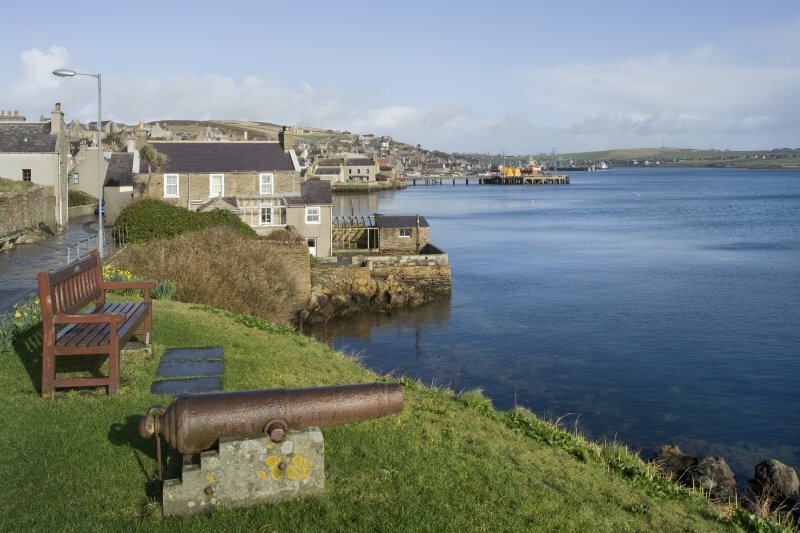 After false starts in the early 19th century, Stromness came into its own with the herring fishing in the late 19th and early 20th centuries. 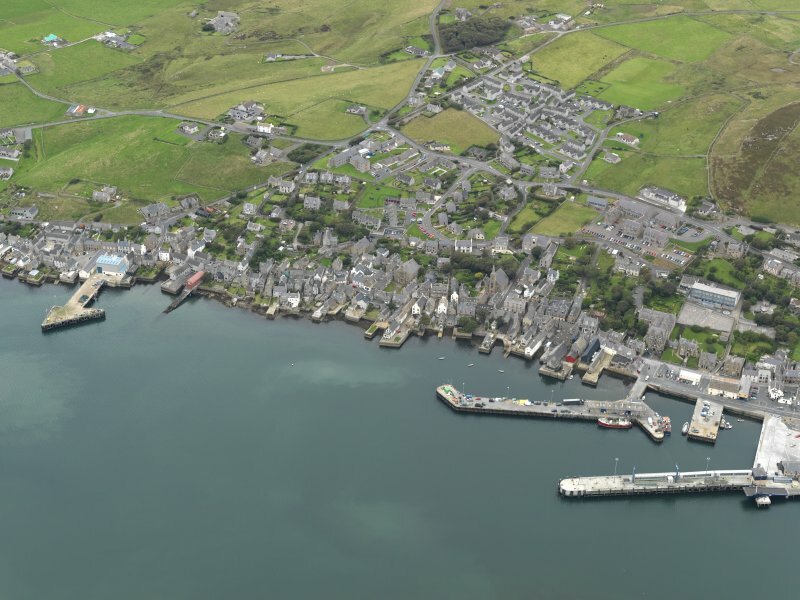 Large herring-boats from Aberdeenshire ports and the Moray Firth crowded into Hamnavoe from mid-May to mid-July, and every pier became a gutting and curing station. 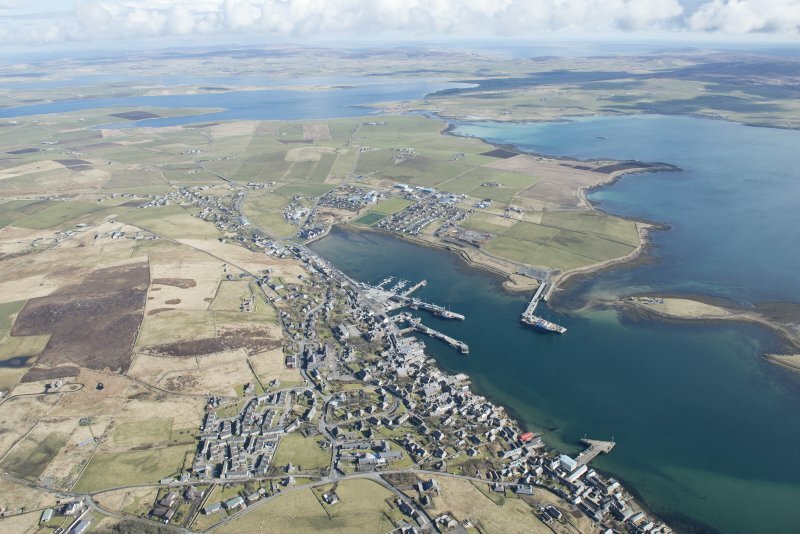 But this early season for herring was unreliable, and the herring fishing lapsed as far as Stromness was concerned before the first World War.